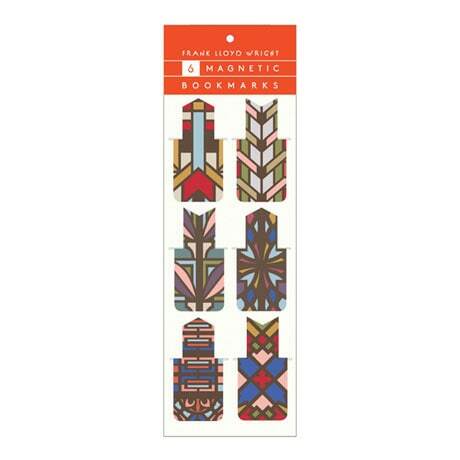 Bring a little art to your current read with our lovely Frank Lloyd Wright Magnetic Bookmarks. These colorful 1"x2¼" page markers feature bright designs inspired by Wright's works, backed with magnets to make sure they stay put. We're offering two packs of six bookmarks each, so you have plenty for your TBR pile—or to give out to bibliophilic friends!